This entry was posted in Broken Hearted, Encouraging Words, Faith, Self-Help, Uncategorized and tagged William Cope Moyers. Bookmark the permalink. 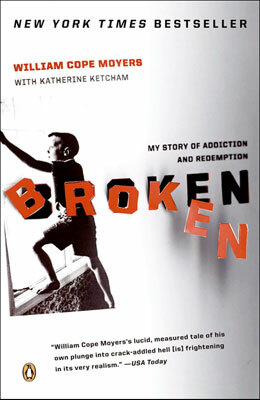 Thank you for the powerful words of support for my book, Broken. It is people like you who help me to stay the course of my own recovery, a day at a time. It is hard to believe that book was published in 2006 and still resonates with readers like you. Much has occurred in the years since; I’ve experienced the highest of highs and the lowest of lows. Now I am writing a follow-up. The working title is “Beyond Broken, The Rest of the Story (So Far).